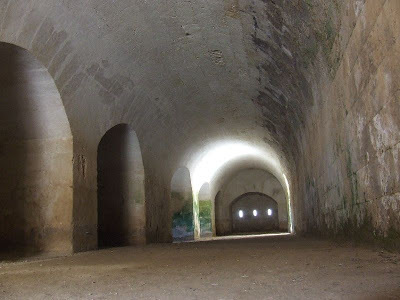 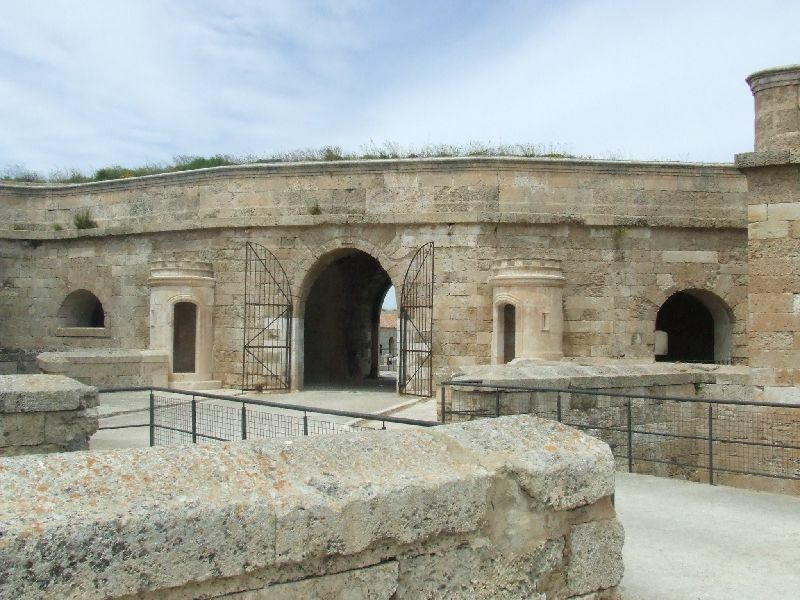 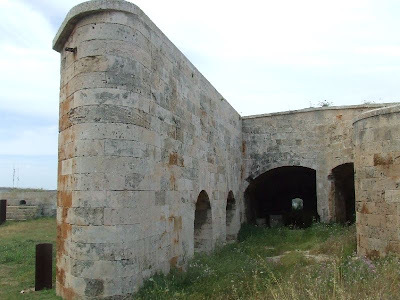 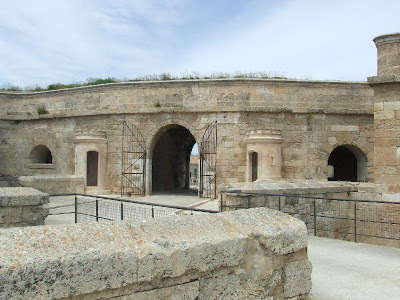 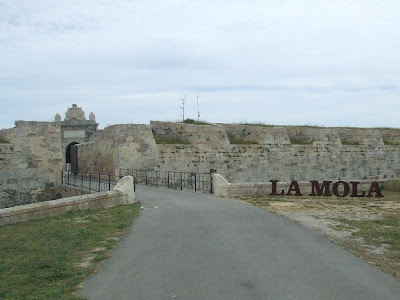 The Fortress of La Mola is located on a peninsula off Mahon harbour on the Balearic island of Menorca. 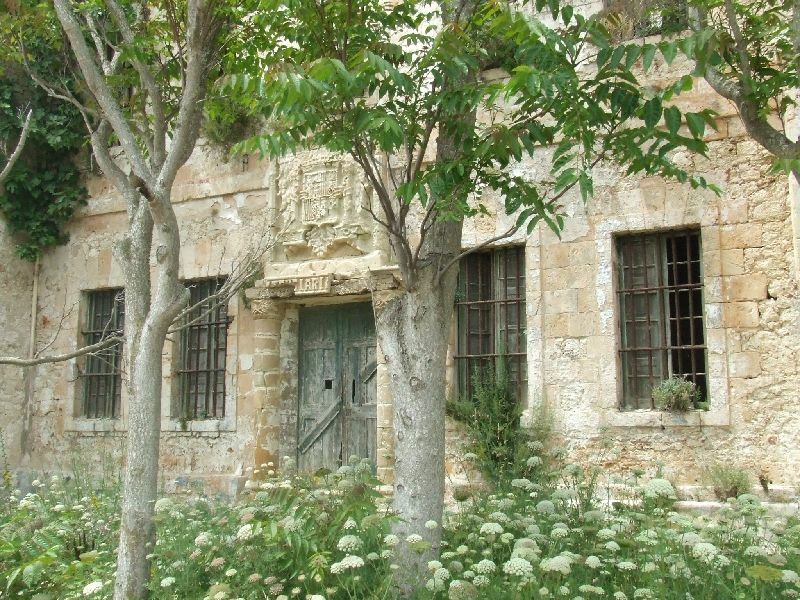 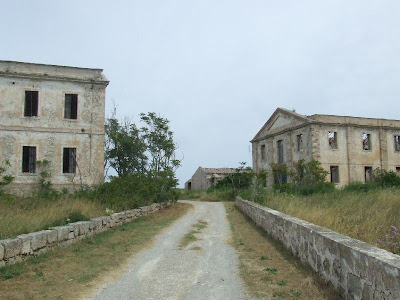 The area was occupied by the British in the late 17th and early 19th centuries, who moved the capital from Citudella (on the West of the island) to Mahon in the East, to accomodate the British naval fleet in its large harbour. During this time, the British built Fort Marlborough, a polygonal redoubt which still stands, but the island was returned to Spain in 1802. 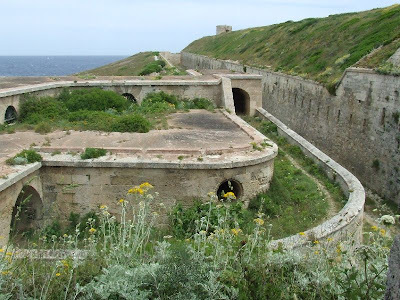 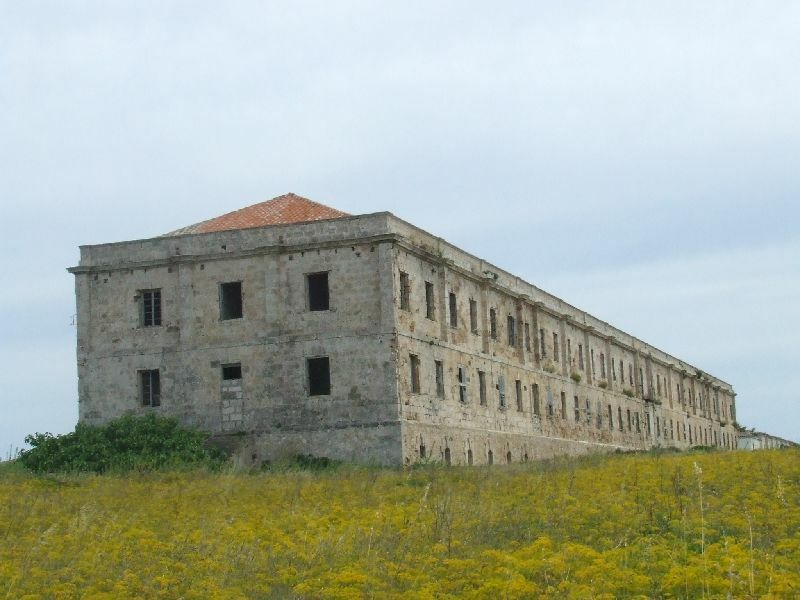 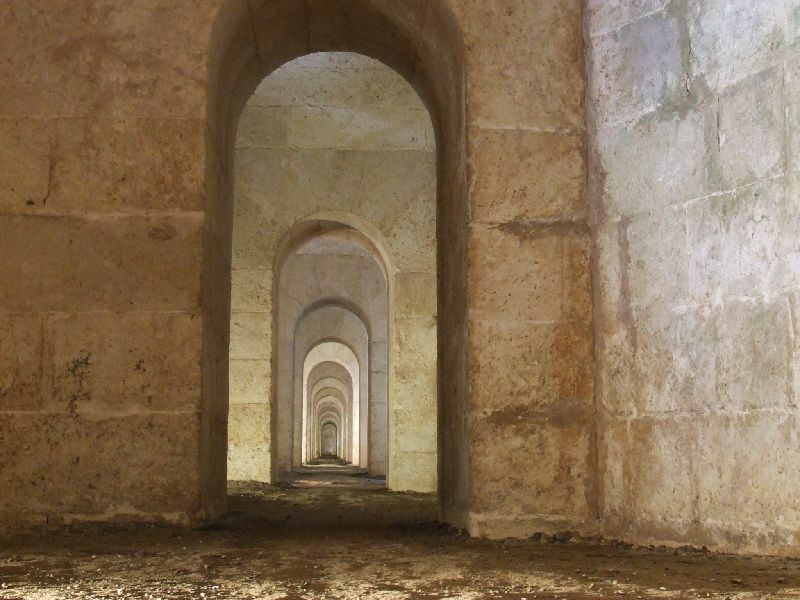 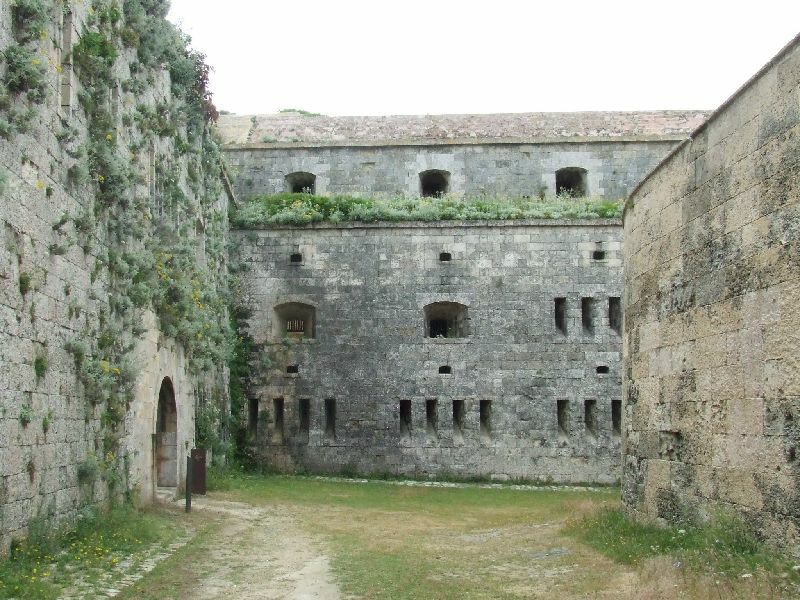 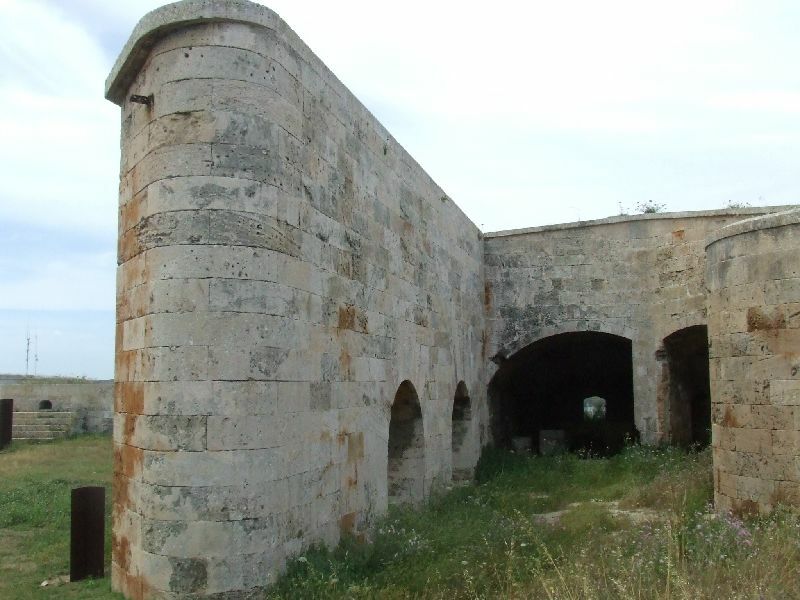 The threat of re-capture by the British led to the building of the fort at La Mola between 1848 and 1875. 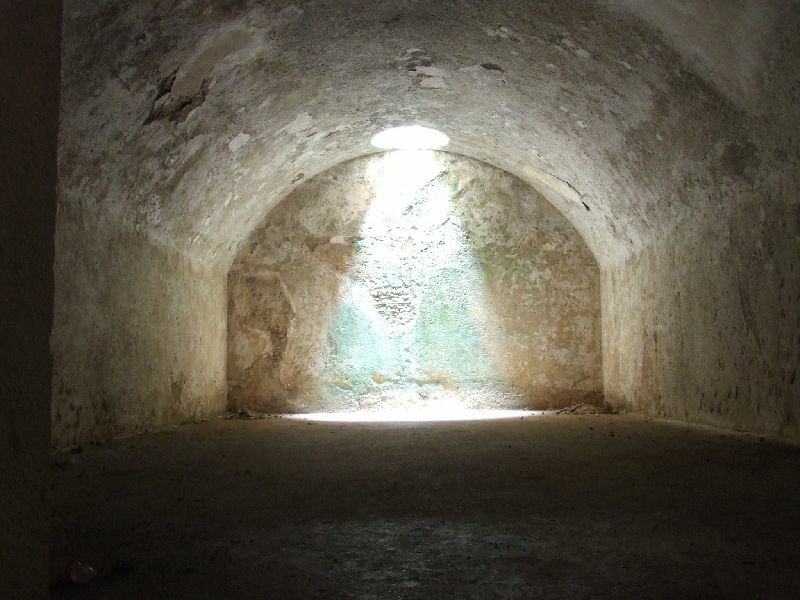 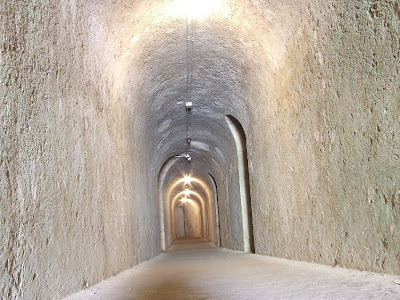 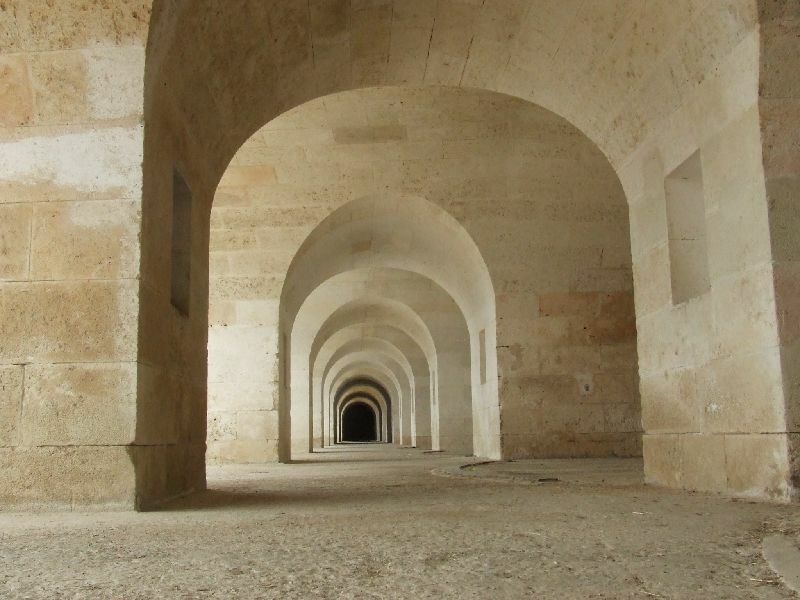 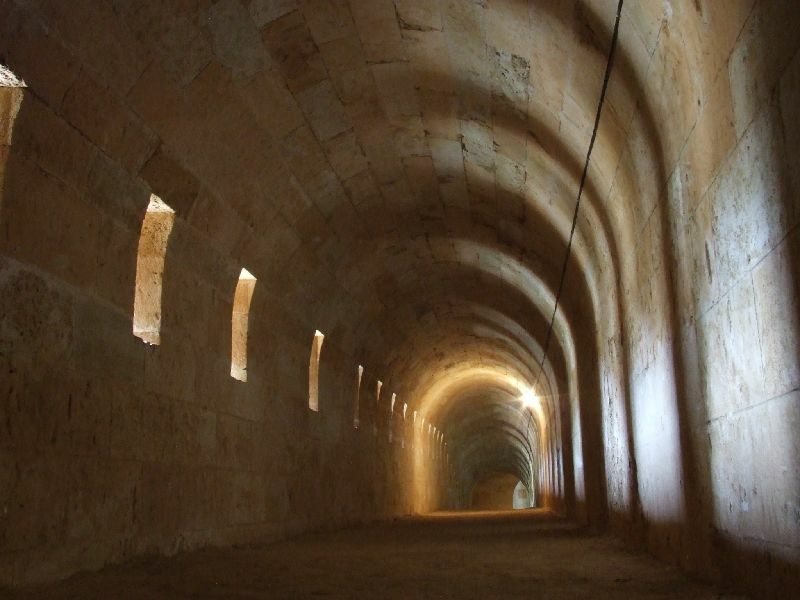 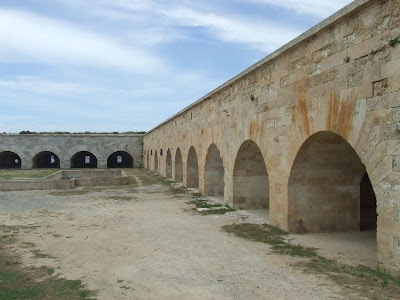 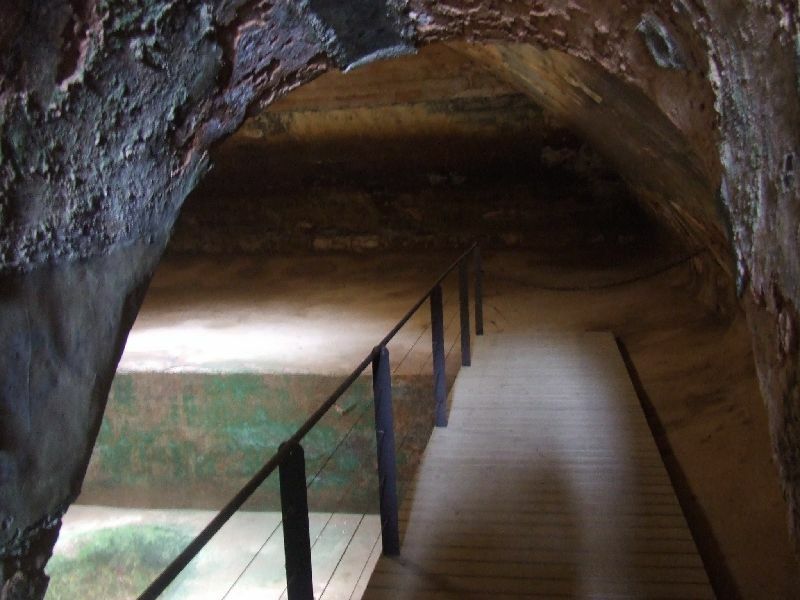 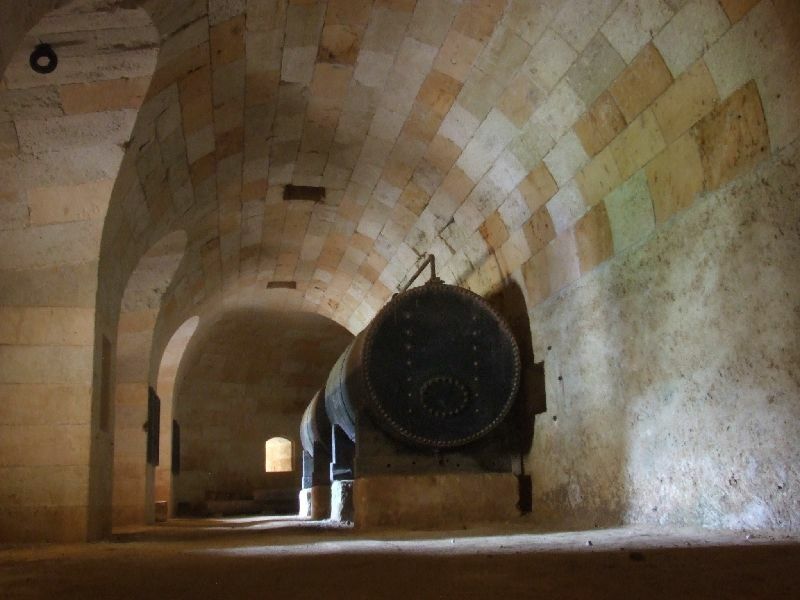 The fort consists of extensive fortified lines, protected by underground galleries and casemated gun positions, open gun batteries as well as barrack accomodation. 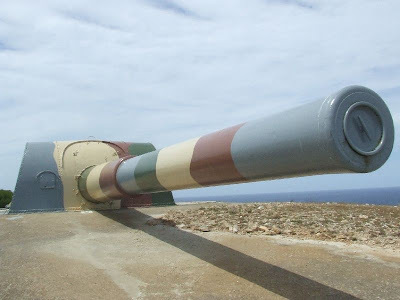 La Mola was fortified during WW2 with two 15" guns mounted on the highest geological point of the fort and it remained in military hands until the 1990s. 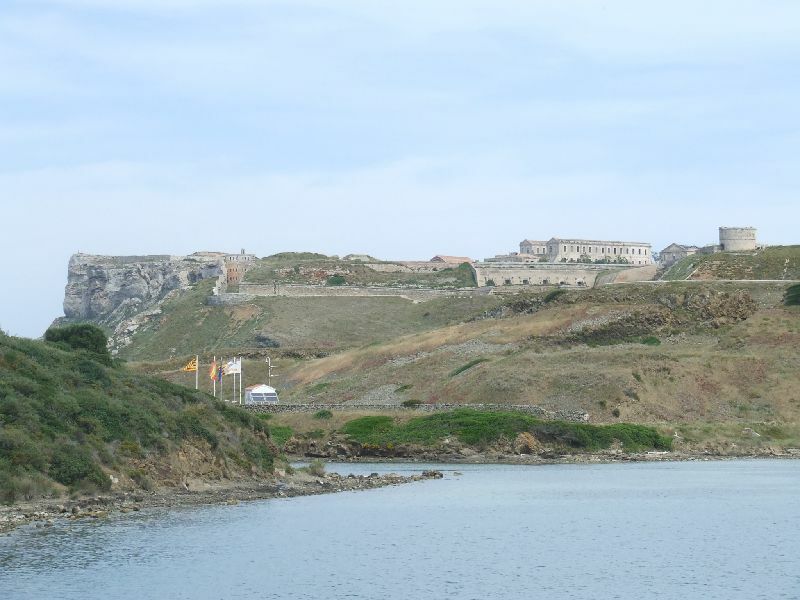 The fort is now a tourist attraction and can be easily visited by taxi or water taxi from Mahon. Strange that nobody mentions the beautifully mined and finished ventilation shafts which would be difficult to equal even today with our raise borers, etc. Although all the mining work has been carried out to a very, very high standard considering that it was all done with hand held drill- steels, hammers, and gunpowder I feel the vent shafts are the real piece de resistance.